Scent by Mail JUNE Box Reveal!!! All you lucky Scent by Mail subscribers will have received your June box by now, and hopefully you’ve already got these incredible home fragrances dotted around your house. Here’s a bit more information on the scented candles and home fragrances I carefully chose for you this month – I hope you love them as much as I do! I discovered this fantastic only a few months ago and fell in love their scents. They’re so true to life, fabulously strong in their fragrance and throw, and that packaging…. STUNNING! I just had to feature this brand in one of our first boxes so picked this Lime and Basil scented candle. It’s such a gorgeous, fresh scent, perfect for summer and suited to almost every room in the house. The citrus notes makes it perfect for both the bathroom and kitchen. Does it remind you of another famous brand at all?! Have you tried these Fragrance Spheres yet? They were launched around 3 years ago, and are a real find. They’re a great flameless option and perfect for small spaces such as the car, bathrooms, cupboards and wardrobes. Like Reed Diffusers they do work best with some heat getting to them, so I would place them close to a window as the sun at this time of year does the trick. This product can last up to 6 weeks and Pink Sands is my current favourite! With candles of all prices available on the market, it’s often easy to overlook those less expensive options, writing them off as “they mustn’t smell as strong” or “there’s a reason they’re such good value”. In the case of Our Own Candle Company, all preconceived notions go out the window as these extremely affordable candles are incredible quality, pretty to look at and have beautiful fragrances. 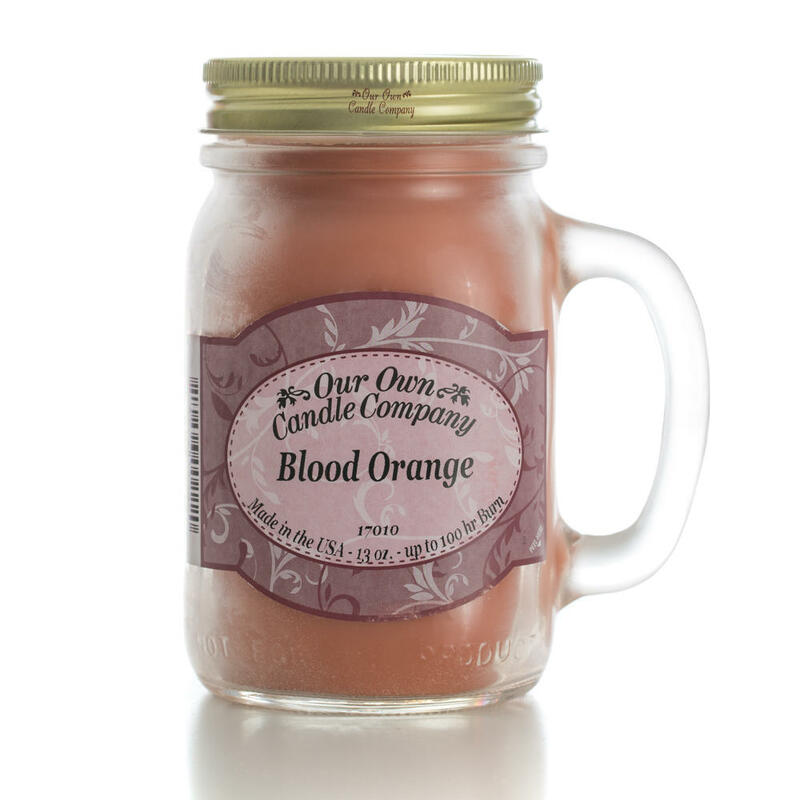 I chose to feature this Blood Orange scent as it just screams “summer is here”! Kringle Candle is owned by Mike Kittredge, the original Yankee Candle founder. All of their candles are made with pure white wax and the fragrance throw is just brilliant. “Splash” is their best-selling scent and their daylights (oversized tealights) are a great way of trying out a fragrance before committing to a larger candle. This candle is perfect for creating atmosphere in your room as well as being perfect for candlescaping to transform a room into a welcome sanctuary. You may well have heard of this huge UK brand based in the Lake District, and their “Made in England” range is just beautiful. “Sea Breeze” is a new scent for 2018 and I hope you enjoy It as much as I do. It’s the very essence of Sea Breeze – you don’t get more true to life than this fragrance. If ever you want a scent into a room quickly, give this votive a try! The size is deceptive as this is such a powerful scent that can scent even a large room in just 10 or 15 minutes. Fluffy Towels is an extremely fresh and clean scent that I tend to use in the evenings after the kids are in bed and I am cleaning up the chaos left behind! I place it in the hall and let it travel throughout the house. It’s one of Yankee’s Top 10 Fragrances for a reason, as you’ll find out. I really wanted to give such a variety in June’s box and give you scents that suited the season, and what better than “Passionfruit Sundae” since the UK is currently being blessed with some sunshine for once! This scent reminds me of a Push Pop lolly from back in the day and is so cleansing and fruity. Bomb Cosmetics are all hand poured in sunny Bournemouth and the quality of the burn, fragrance, throw and packaging design is amazing.